5 Clever Tips On How To Find Good Private Schools In San Diego. When researching schools for your children, it’s important that you explore the best options where you live. If you happen to live in the San Diego area, there are several private schools in San Diego that you can look into. When you read below, you’ll see which points are the most important to remember during your search. Follow these tips and let them guide you as you start looking for a school for your child. You can take your pick of private schools in southern California, but you owe it to yourself and your child to map out a thorough search. It’s important that you know which tips to guide you. It’s important that you get a feel for the private schools in San Diego by visiting them to see which is best for your child. Thankfully, we live in the internet age so it’s easy for you to get testimonials, reviews, and rankings. 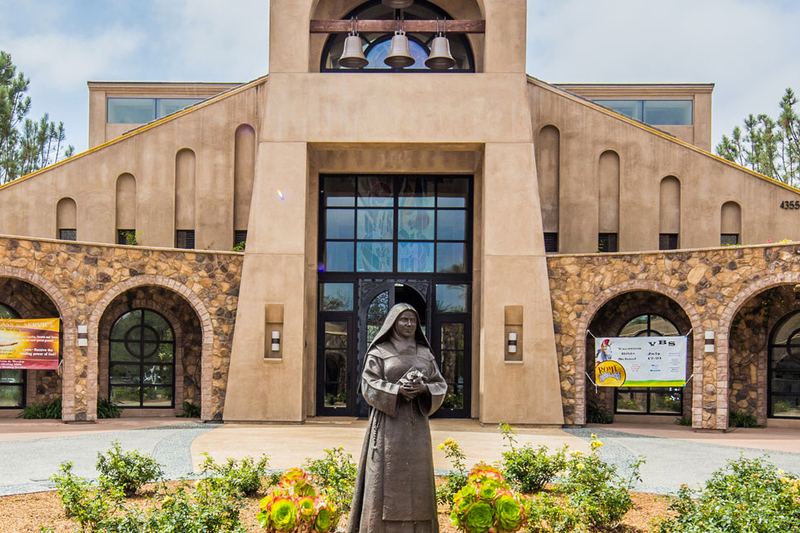 When you look into private school rankings in San Diego County, you can get a breakdown of the student population, the number of instructors and faculty, how long the school has been in business, and more. This research can also let you see any accreditations the school has. Many parents have weighed in on different private schools so that you have a headstart when it comes to the school and the types of students they take in. Once you look at Note Dame Academy and other schools you’ll have a better handle on narrowing down your choices. When you are doing your research, you’ll need to have a list of priorities. Be sure that you know the curriculum and what philosophies the school supports. Some common private school traits to include the curriculum, afterschool activities, sports, and teaching styles. You’ll want to get an idea of the student to teacher ratio as well to make sure that your child will get the individual attention that they need. For instance, if you have a child that is energetic and creative, you’ll love how much they can thrive in a system and teaching style that allows them to play and express themselves. It breaks up the monotony of school and makes it an engaging and interactive process. If you’d like continuity, you should also choose a school that has various grade levels, so that your child can be in a warm and nurturing environment from elementary school to high school. It’s important that you do everything in your power to manage the financial aspect of private school as well. First and foremost, see about getting any financial aid that’ll help pay for the tuition. A private school will cost you between about $8,000 and $13,000, so getting an idea of the tuition ahead of time will let you save accordingly. Each private school will have its own payment plan that you can sign up for. Be sure that you also understand the policies and check your income to be sure you can afford whichever school you decide on. As you look into private schools in San Diego, it’s vital that you also get a feel for the school itself by scheduling a visit. Bring your child with you and see if they can sit in on classroom sessions and speak to some instructors. These private schools have waiting lists that fill up quickly, so it’s best that you start your hunt as early as possible. When you visit the school, pay special attention to the facilities to see how they are kept and the sort of resources they have. This is particularly important if your child has certain interests. For instance, if your child is musically inclined, attending a school that has great instruction, studios and production equipment can be valuable. Seeing the school in person will help you choose one that will nourish your child on their educational path. There are many private schools that have magnet programs that cater to specific interests. Private schools in San Diego have programs that focus on everything from math to drama. Looking into their curriculum and programming as a whole will help you out significantly when making your choice. Have a one-on-one with the teachers and administrators to learn exactly how your child will be cared for. Finding the perfect fit for your child’s education not only gives them the building blocks for a bright future, but it also makes it so that they develop a love for learning that will carry them through their entire lives. There are many private schools in San Diego that you can visit, and we’d love to be high on your list. Using these tips will help you out so that you are able to send your child on their educational journey. Private schools come in so many different types, and the Southern California area has some of the best around. We’d love to show you why our private school is one of the best in the area. Take the time to contact us if you’d like to learn more about our school and schedule a tour!